Children today are digital natives, growing up in an age where social media and online communication is the norm. 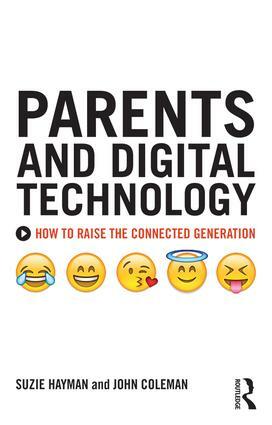 This book is an indispensable guide for parents who may feel they are struggling to keep up, addressing the issues that young people and their families face in the world of modern technology. Suzie Hayman, a parenting counsellor, and John Coleman, a distinguished psychologist, use their combined expertise to explore the challenges and possibilities of being constantly connected, helping parents to make choices about how they communicate, set boundaries and establish rules. Using real-world examples and solid psychological theory, the book looks first at the anxieties parents express about digital technology, followed by the serious potential threats such as cyber-bullying, sexting and easy access to pornographic or violent materials. However, the internet is also full of enormous potential and a further chapter explores the positive side of the digital playground. The authors also share their expert understanding of child and adolescent development and how this relates to the appeal of digital media, with special attention paid to the importance of good communication. The end result is a toolbox for parents, full of tips, strategies and techniques designed to help navigate the digital world, ensuring it is safe yet still exciting for young people. Parents and Digital Technology is essential reading for all parents and guardians as well as those caring for children and teenagers in a professional setting, who want to get the best out of life and modern technology while keeping safe in a family that talks to each other, spends time with each other and enjoys each other.